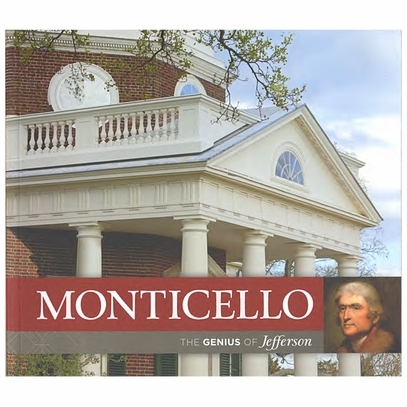 The center of Thomas Jefferson’s private world was Monticello, the house and 5,000 acre plantation which occupied his attention and imagination for more than 50 years. The exceptional house, ornamented by extensive gardens and surrounded by working farms, was designed entirely by Jefferson, who supervised its construction and expansion from 1768 until virtually the end of his life. Monticello was home not only to Jefferson and his large family but also to as many as 135 slaves who worked the plantation’s four farms, helped construct the house and outbuildings, and labored to perform the requisite household tasks. Jefferson’s world was focused here. Monticello was Jefferson’s retreat from the “hated occupations of politics” that drew him away from his family, his farm, and his books. 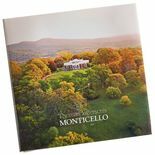 Especially after his retirement, Monticello was the place where Jefferson could enjoy “the circle of our nearest connections.” He was also free, at last, to follow “the tranquil pursuits of science,” studying astronomy and the natural world around him. 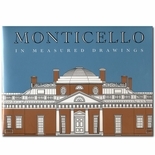 Fully illustrated guide to the house, gardens, and plantation, with authoritative information on Jefferson's extraordinary life and career. Paperback, 128 pages.